September 29, 2017  Barbuda was the first place Hurricane Irma made landfall as the Category 5 storm devastated a string of islands along the Caribbean earlier this month. 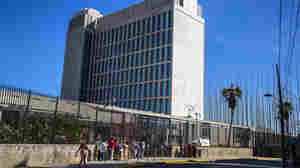 September 29, 2017  The move follows reports in August that U.S. diplomats in Havana had been subjected to mysterious "sonic" attacks that led to hearing loss, headaches and other health problems. September 28, 2017  While safety concerns may have led to some of the quick demolitions, some residents fear developers and city officials are trying to destroy evidence of shoddy building and lax government oversight. September 28, 2017  The director of civil protection in Tamaulipas state confirmed reports that several fish fell from the sky during a light rain. And as it turns out, the phenomenon isn't exactly unprecedented. September 28, 2017  At the heart of President Trump's crusade to secure the southern border is a massive build-up of the Border Patrol. The president wants 5,000 new agents — that would expand the agency by a quarter. 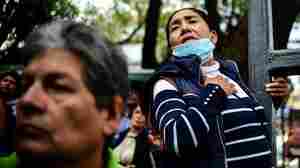 Some Survivors Of Mexico's Quake Wonder: When Can We Go Home? September 27, 2017  Rescue efforts will soon come to a close in Mexico, where a 7.1 magnitude earthquake killed hundreds of people. Survivors displaced from damaged homes don't know when they'll get the OK to return. September 26, 2017  Aid has yet to arrive in many Puerto Rican communities even though nearly a week has passed since Hurricane Maria hit the island hard. 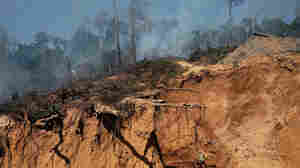 Residents are scrambling for water and gasoline. September 26, 2017  NPR's Ailsa Chang speaks to Democratic Rep. Nydia Velázquez of New York, about her efforts to get the U.S. government to do more to help Puerto Rico. She visited there after the hurricane, and is leading a group of lawmakers who asked the executive branch for the same consideration as was given to Texas and Florida. September 26, 2017  The request for the Army to patrol areas comes days after rival members of a drug cartel started a war in Rio's most dangerous favela. Since Sunday, shootouts have become common in the area. 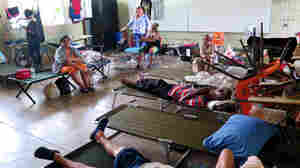 September 25, 2017  In Cataño, near San Juan, the storm left hundreds living in a shelter where conditions are becoming increasingly dire. September 25, 2017  Some of the world's best cacao grows in Venezuela, a country roiled by political turmoil. One chocolatier is betting those beans can propel a whole industry and turn women into micro-entrepreneurs.